How do I refund pension contributions? How do I opt-out an employee? 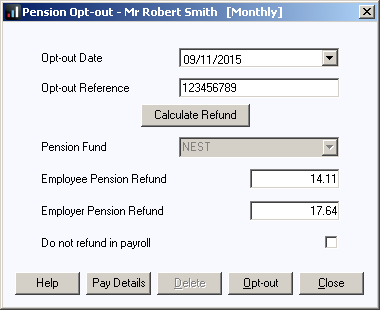 The easiest way to opt an employee out of AE pensions is via the Company Pension Dashboard. 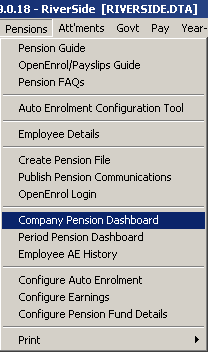 Please Note: The Company Pension Dashboard is available to IRIS PAYE-Master customers with the AE module on their licence. For a full AE Pension guide, click here. 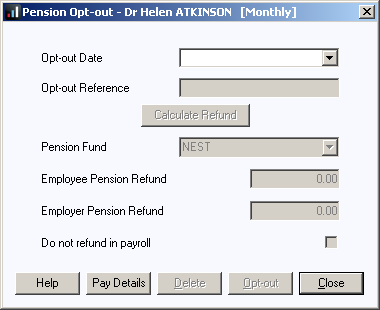 • Enter the Opt-out Reference, this would normally be given to the employee by the pension provider when they inform them of their intention to opt out.